This complete audit will assess the operational standards and management under practice by the facility operations manager or managing agent such as existing infrastructure maintenance programs, operational procedures, documentation, technical vendors and service contracts. The assessment shall include review of the overall management of the infrastructure, examine adequacy of operating/emergency procedures, evaluate personnel knowledge/training and assess conformance to the facility design intent, safety, energy efficiency and industry best practices. PMC will review current critical systems Service Level Agreements (SLA), Standard Operating Procedures (SOP), Critical Systems Operations and Monitoring (CSOM), and Critical System Documentation and Data Analysis. 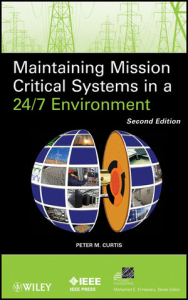 Analysis and findings are provided in a comprehensive report identifying observed best practices, suggested opportunities for improvement and targeted action items addressing assessment findings geared to enhance existing in-place maintenance, operation and testing programs and intended to optimize the overall efficiency, continuous availability, safety and reliability of the mission critical infrastructure. A complete assessment, survey and analysis of existing infrastructure equipment will be performed and based on this assessment; PMC will identify opportunities for improvement and provide specific next step recommendations. The following is typically included: Survey the facilities MEP support infrastructure (i.e. electrical, mechanical, fire & control systems) and examine the condition of the system components. Evaluate each specific system and/or component based on observed conditions. Suggest recommendations for further testing where empirical data will provide vital information on operating effectiveness or efficiency. Identify any systems that appear to be at (or near) maximum operating capacity or the end of useful life. Note any equipment that was not operating at the time of the survey. This assessment will assist client in identification of essential enhancements which may increase overall mission critical reliability, capacity, and redundancy of the site. Survey the facilities and look for physical attributes and existing conditions that can affect the operation of the facilities interrupting the production environment contained therein. Examine the electrical, mechanical and control design drawings and identify single points of failure. Identify each SPOF found, explain the risk, describe the potential effect of the SPOF and make recommendations for its mitigation. Prepare a detailed report assessing the facility and providing recommendations. The goal of this audit is to identify areas where improvement will provide the greatest support for effectively and efficiently maintaining and operating a high reliability environment and to gain a higher level of analysis, assuring that the critical infrastructure is maintained and properly operated against unforeseen conditions. This independent audit and assessment of current maintenance programs will include: determine the level of formal planned maintenance employed at the facility, examine the equipment inventory list, maintenance specifications, and maintenance records, interview the maintenance managers and technicians to document the method of maintenance execution and compare to best practices, determine the usage of 3rd party maintenance contractors and status of current effective agreements and how unscheduled maintenance is handled. Comment on the above and provide recommendations for improvement. The results of the assessment will review the dependability of the current maintenance program, recommend best practices, identify site specific requirements and expose potential deficiencies in labor performances that could otherwise encumber the overall maintainability of the facility.